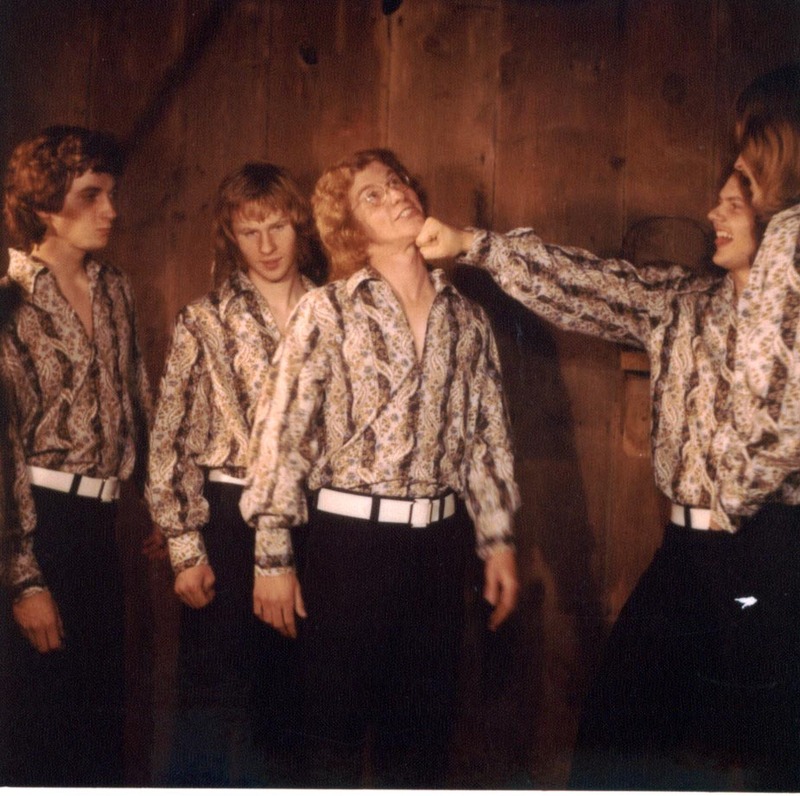 Here are the boys in matching outfits goofing around… again. That’s Steve Elliott pretending to punch out Denny Walton. From left to right: John Carstensen, Kim Ludtke, Denny Walton, Steve Elliott and the side of Jon Ludtke’s head.